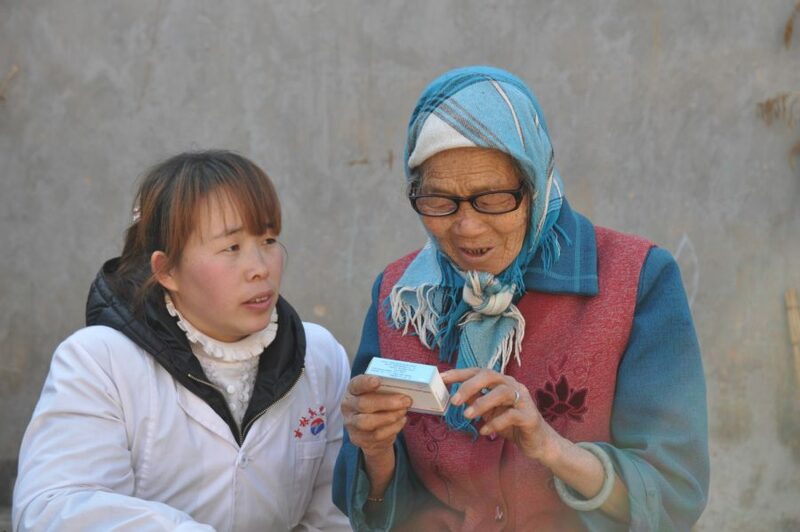 With 2.5 billion people worldwide still suffering from the social and economic consequences of poor vision, Essilor is convinced of the importance of collective intelligence and cross-sector collaboration. 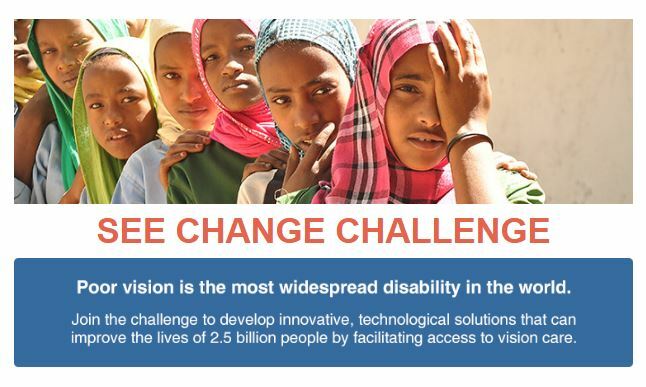 That’s why we have just launched the See Change Challenge and are calling on solutions providers from all industries to invent scalable solutions that can speed up the delivery of primary vision care for under-served populations. 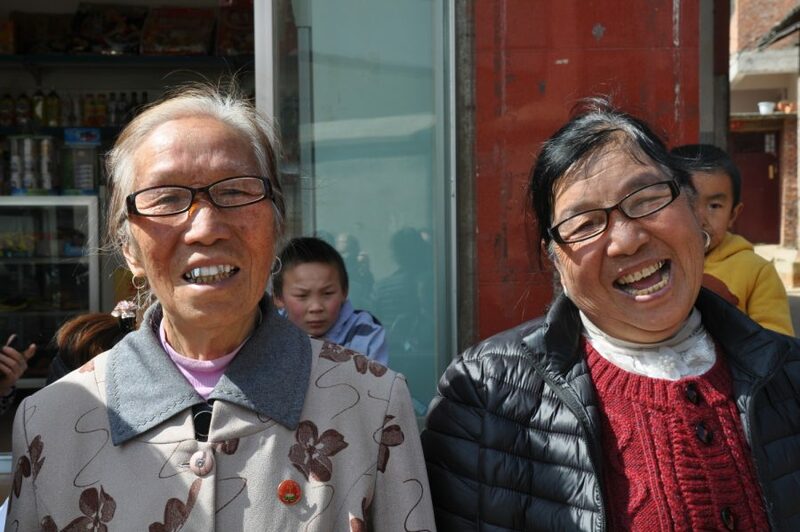 Whilst we regularly share impact stories from all corners of the planet on the efforts of Essilor people and partners to fight against uncorrected poor vision, it still remains the most common disability in the world, affecting 2.5 billion people. That’s one-third of the global population who can’t see properly! 95% of them live in developing countries where they lack awareness of the impact of poor vision, or where they simply don’t have access to basic vision care, mainly because of a shortage of trained eye care professionals. To tackle this issue, we are proud to announce the launch of the See Change Challenge, an open innovation challenge led by a joint team consisting of members of Essilor’s BOP Innovation Lab and Global R&D team. 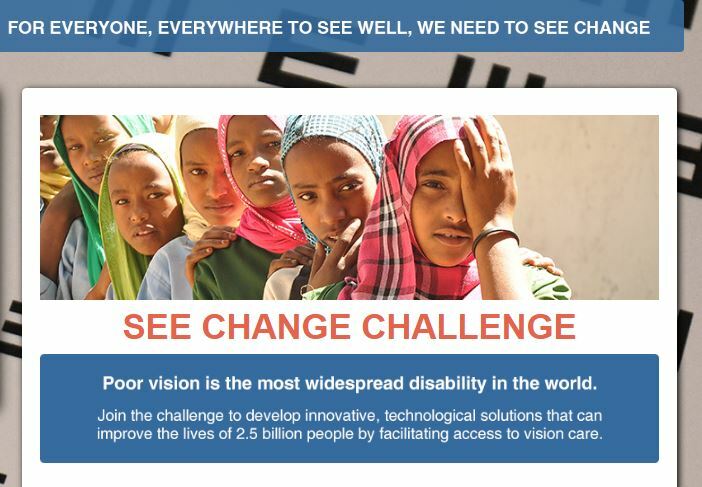 Specifically, the See Change Challenge aims to uncover low-cost, easy-to-use and scalable solutions that can be used by primary vision care providers in under-served areas to accurately measure eye refractive errors. We are appealing to startups, universities, app developers, vision scientists, optometrists, engineers and all individuals and organisations with an interest to bring their multi-disciplinary expertise to develop innovative refraction solutions that can have profound implications for individuals as well as society. Up to five winners of the first phase of the Challenge will each earn 25,000 € in cash, and will have the opportunity to enter the second phase, where there will be an additional amount of 100,000 € in cash for up to two final winners. Essilor will also potentially support the final winners with development contracts to help them to build and scale up their solution. In 2013 Essilor established two entities to tackle the issue of uncorrected poor vision in developing countries, the 2.5 New Vision Generation and the above mentioned BoP Innovation Lab. These entities have since successfully developed and launched inclusive business solutions such as the Eye Mitra and the Vision Ambassador program, providing over 2 million low-income individuals to date with locally affordable eyeglasses. 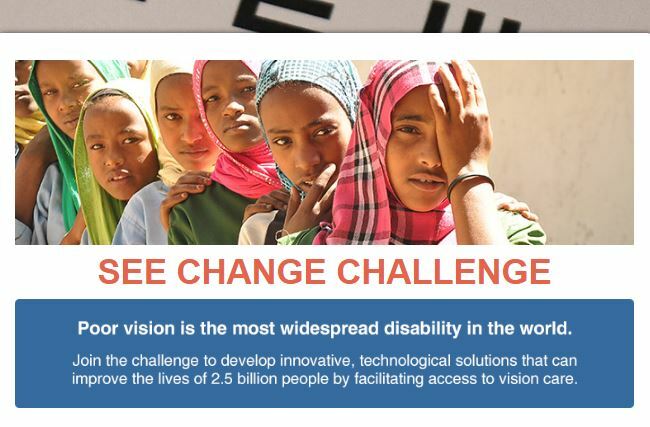 The See Change Challenge is one more illustration of our commitment see change for the 2.5 billion people with uncorrected poor vision by pushing the boundaries of innovation. Read more about the challenge and how to apply here.